Fiance is addicted to drugs? My finance is very drug addicted and I'm always worrying about him. Can you please help me to decide what to do? Comments for Fiance is addicted to drugs? I know very little about your problem accept that you believe your finance is drug addicted and you don't know where to turn or what to do. Drug addiction is a very dangerous disease of the brain. It changes the addicted person into someone who ONLY cares about getting the drugs and loses the capability to love anyone or anything else. You should be VERY worried about your finance because untreated drug addiction is a fatal disease. But you should also be worried about yourself. Get support for yourself first and then figure out to help your finance. I recommend that you begin immediately to attend Al-anon meetings at least twice a week. Find meetings that are working the 12 step program and where you feel comfortable and welcome. Once you start working the steps look for a sponsor who has helped their spouse to overcome an addiction to drugs. 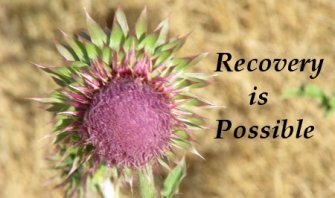 Learn as much as you can about drug addiction and recovery from Al-anon and then begin to work with your finance to try to help to end the addiction. Going to Al-anon meetings this week and really trying to understand all aspects of drug addiction is the best thing you can do for your finance. Hopefully you will both begin to go to meetings together and start to work toward ending this terrible and dangerous addiction.